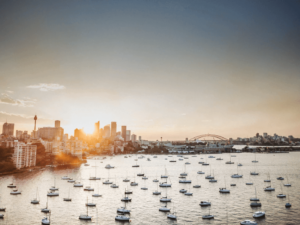 Why Australia is the Gateway to the Asian Market? As an entrepreneur operating in Latin America, you’ll no doubt always be looking for new opportunities to grow and expand your business in new markets. Whether you’re in Brazil, Colombia, Peru, or El Salvador, there are unique benefits to each LATAM market, but along with those benefits come challenges. Brazil, for example, has been struggling economically for a number of years, and weather conditions and a fall in the value of peso in Argentina have created hurdles for businesses to overcome – with casualties across several industries. In order to expand your business and become a global player, it’s important to sell your goods and services not only in your home country but in new markets around the world. The advancement in commercial relations between Australia and Latin America has unlocked huge opportunities for businesses in some sectors, but you should look beyond Australia and think about ways the country can grant you access into markets worldwide – including Asia. Asia is often considered to be at the top of the list for many businesses. As the world becomes increasingly globalized and businesses look for opportunities in new territories to prop up their own economies, Asia is often considered to be at the top of the list for many. As well as transforming itself into a tech hub, the region has a significant financial sector and is expanding at an unprecedented rate. As a Latin American business owner, you cannot overlook the benefits of trading with such enormous and prosperous nations. Singapore, for example, has low tax rates and encourages foreign businesses to expand in the region, whilst its strong legal framework gives businesses and investors comfort when growing their organizations. The country also has tax treaties and free trade agreements which make it a transport hub in Asia, and a brilliant import and export destination. Japan, on the other hand, is a real hub for innovation, particularly in the technology sector. Its people are known for their hard work and skills, and renewable energy, life sciences, and finance hubs are on the rise in the territory, too. 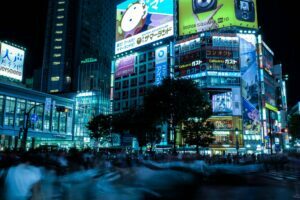 Japan’s GDP is a staggering US$4.8 trillion – that’s more than double Brazil’s GDP (US$2 trillion) and with a population of 126 million and a GDP per capita of US$38,400, there are significant opportunities to sell your products and services to its ballooning middle-class citizens, who appreciate quality products over price. Despite the ongoing political crisis between the United States and China, the latter remains another key Asian country to consider. It has a GDP of US$12.2 trillion – catching up the United States’, which stands at US$19.4 trillion as of 2019 – and is home to the world’s largest population of more than 1.4 billion people. Being able to sell to more than a billion people at the drop of that hat could transform your LATAM firm… and Australia can help. Whilst Latin America and Australia seem an unlikely pairing, the Australian government has been working to promote trade between Latin America and Australia, through several new bilateral trade agreements and policies. Remember that Australia is on the other side of the world, and it must rely on trade with other territories to fuel its economic growth, which is why LATAM remains a popular choice. Between 2016 and 2017, imports from Latin America to Australia totaled A$6,349 million, particularly in manufactured goods, services and agriculture, and that number is only set to rise in the coming years as demand increases. The PAFTA free trade agreement brings together Peru and Australia, the 2009 Australia-Chile Free Trade Agreement offers its own benefits, and The Cairns Group is working to achieve free and fair trade in the agricultural sector. There’s also the Pacific Alliance-Australia Free Trade Agreement, which is offering new business opportunities for both Australian and Latin American businesses with a keen eye to spot gaps in the market. As a Latin American business, there’s never been a better time to invest in Austalia and take advantage of these new trade agreements. Setting up an import and export business in the country, for example, could help you to boost your profits and add a new revenue stream to your organization, whilst Australian nations can also capitalize on Latin American trade. Over the past fifteen years, Australia has been working to secure trade agreements with key Asian markets, and it has delivered on all of its key targets. Perhaps the most obvious reason why there are so many commercial opportunities in Australia is that of its vast free trade agreements – particularly those within Asia, which is a market that’s often guarded and off-limits to Latin American countries. According to the Department of Foreign Affairs and Trade, 74% of Australian exports shipped to Asia in 2015. As Asia remains the fastest-growing region in the world, riding the wave can be lucrative. Over the past fifteen years, Australia has been working to secure trade agreements with key Asian markets, and it has delivered on all of its key targets. The first was in 2003, The Singapore-Australia (SAFTA) agreement, and soon followed the Thailand-Australia (TAFTA) agreement and Malaysia-Australia (MAFTA) agreement. In 2014, the Korea-Australia (KAFTA) was signed off, and in 2015 and Japan-Australia (JAEPA) and China-Australia (ChAFTA) agreements went into force. As a Latin American entrepreneur, shipping your goods and services to Australia, to then export to these Asian markets with reduced trade barriers and low or free tariffs represents significant opportunities, but it is important that you get there fast before your competitors can make a dent in the market. The good news is that Australia is negotiating even more free trade agreements with Asian markets, including the Australia-Hong Kong Free Trade Agreement and Indonesia-Australia Comprehensive Economic Partnership Agreement, both of which are set to be signed off in 2019 or 2020, and give businesses access to hundreds of billions in new revenue avenues. Whilst it’s a shame that Latin America hasn’t been able to secure direct trade agreements with many Asian markets just yet, Australia offers a gateway to billions of Asian customers, so you should utilize the opportunities that are in front of you to secure long-term growth. When expanding into a new market such as Australia, you should depend on the services available at Biz Latin Hub, whether it’s visa processing, due diligence, recruitment, market entry or company incorporation. Contact our Australian business experts today via email on [email protected], and we’ll get back to you with a personalized strategy to help you maximize on your investment and utilize the unique Australia-Asia free trade agreements.